What if one of your worst nightmares became an actual event in your life story? Imagine that you hear about a fire within 50 miles of your house - you're a positive person, so you decide to keep a cool head and be responsible. You make the choice to evacuate ...just to be safe, or maybe a good example to your neighbors. Maybe you could even make it an "adventure" as you pack up your kids and head to a friends house for a sleep over. A bunch of smiles, laughs, and "don't worry, it will be OK's." The next day, however, it's ALL GONE ...the house, the stuff, the photos, the toys, the hot tub, the second car ...the surfboards!!!!! It's ALL GONE. How do you react? How do you present yourself to your kids? How long can you stay strong? What do the private moments look like? What happens to your marriage? What happens to your health? What happens to your fun? What happens to your LIFE? 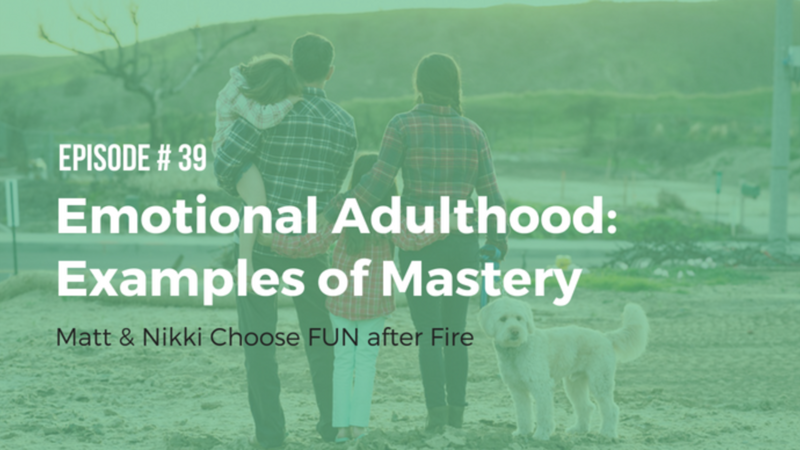 Episode #38 Why is it so HARD to be a Grown-Up? Compete, or don't compete ...or compete, but blame your short comings on your injury. "I choose not to run" - Jerry Seinfeld. 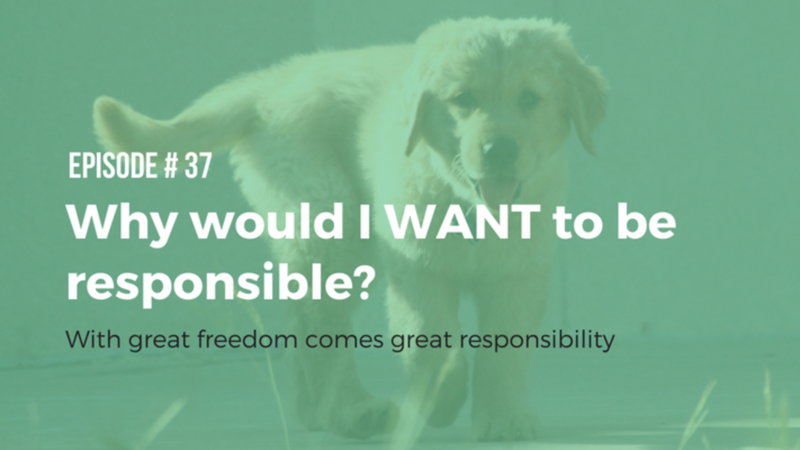 Episode #37 Why would I WANT to be responsible? Why would I want to take responsibility when the OTHER person is in the wrong? 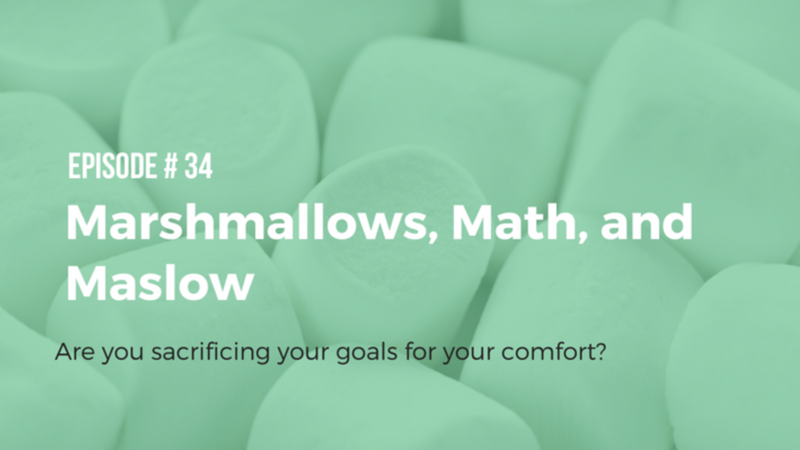 Basically there are three reasons that get unpacked in this podcast. If you look back over your life, you will notice that as you got older you gained freedom and you gained responsibility - the two are directly proportional. The same is true for your emotional maturity. As you take more responsibility for how you feel and your emotional responses, you gain more freedom from the events of your life. "In a position of utter desolation, when man cannot express himself in positive action, when his only achievement may consist in enduring his sufferings in the right way - an honorable way - in such a position man can, through loving contemplation of the image he carries of his beloved, achieve fulfillment." The bottom line is that we respond to each event of our life with maturity, or with immaturity ...or more bluntly as an "Emotional Adult" or an "Emotional Child". The more time we spend in emotional adulthood, the more fulfilling our experience of life. As with many things, the first step toward choosing on purpose is recognition. Have you ever been in a situation where you simply decide to show kindness ...even though the odds are against any chance you would have received it if the tables were turned? Those moments are powerful reminders that kindness, thoughtfulness, and love are not really about actions being earned or deserved - they are about a choice we are making about how to show up in life. Remember the end of Wonder Woman when she resists her rage and chooses love ...or The Return of the Jedi when Luke won't give in to the Dark Side. Even though deep down we all kind of wanted to see him kill them both!! These scenes are examples that we have a choice ...and that anger doesn't win the day. I like to drink Dr Pepper, but sometimes I choose not to. Why is that? Well for starters, if I choose to hydrate instead of drink Dr Pepper, I have less shoulder pain, I have less knee pain, I get to workout without so much pain, so I workout more often. I have workout options like trail running, volleyball, and SUP available to me, so I am more excited about getting exercise, and I stay more successful at reaching my goals like winning volleyball games, competing at a high level in tournaments, having Whitney's back when we play together, climbing mountains, and exploring the creeks and rivers of Central Texas. Whitney and my "getting to know you" phase included A LOT of hiking. 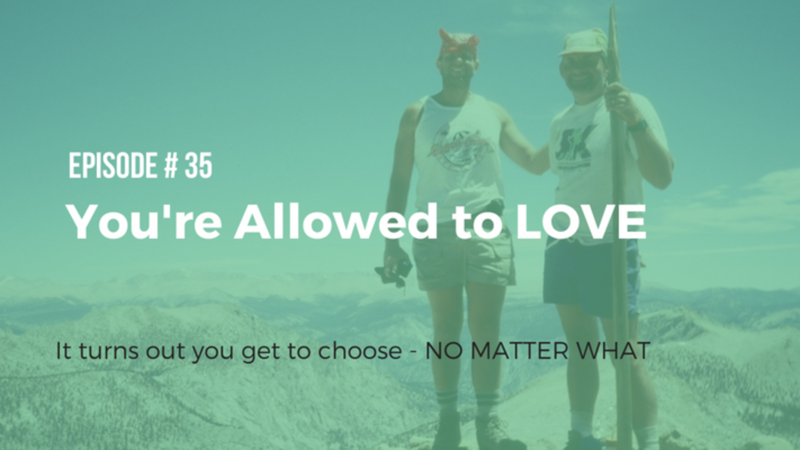 I liked this because it's one of the areas of life that the deck is stacked in my favor :) As I was hiking along one day, doing my best to seem manly and fearless - yet compassionate, Whitney just started laughing. I wasn't sure why, so I asked. "You trip soooo much when you hike!!" Well that was not EXACTLY the impression I was looking to make, but it made me smile none the less. Years back I discovered that there were two kind of hikers - trippers and trail watchers. I learned a tough lesson about the dangers of being a trail watcher. 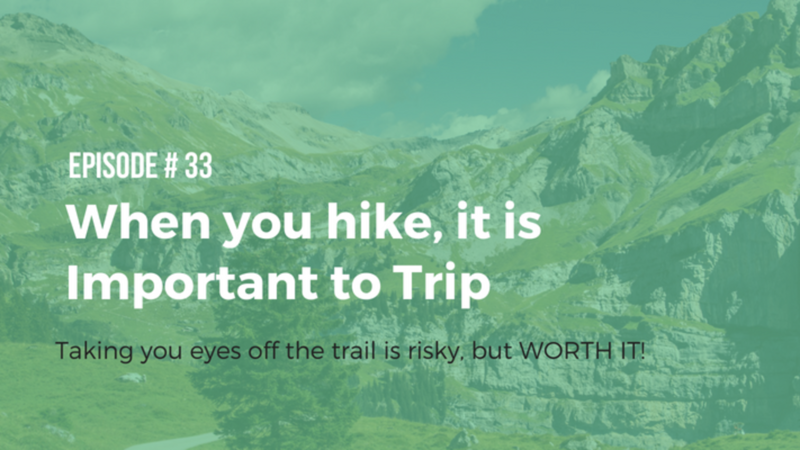 Hiking with your head down and looking only a few feet in front of you may seem like the responsible way to do it, but there are three big problems. 3. You miss out on the most important part ...the world you're walking through. If you've heard Whitney's story of personal growth, weight-loss, and mastering her cravings, you've heard her say, "I tried every solution I could think of, but it wasn't until I changed my thoughts that I found success." - Quick side note, if you HAVEN'T heard her story, WHAAAAAT??? You'll want to do something about that immediately. 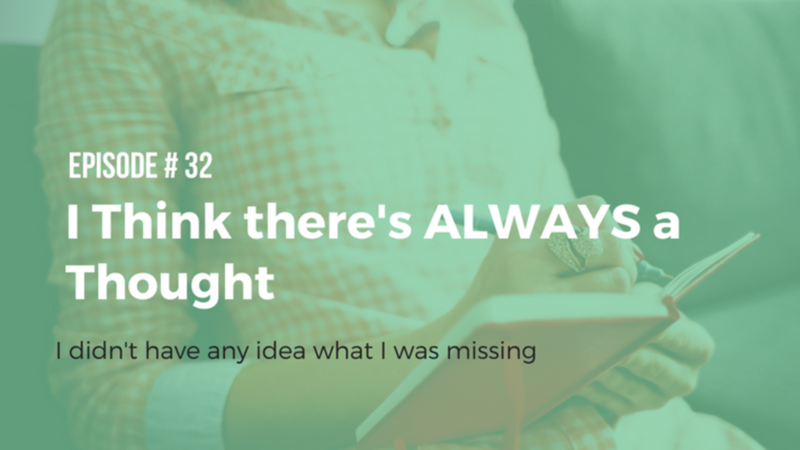 Whitney talks like this a lot ..."Thought-Work", 'Managing my mind", "My mind management tools" - but what the heck does that mean? Or as my Algebra teacher Mr Jenkins used to say, "Could you be more vague?" 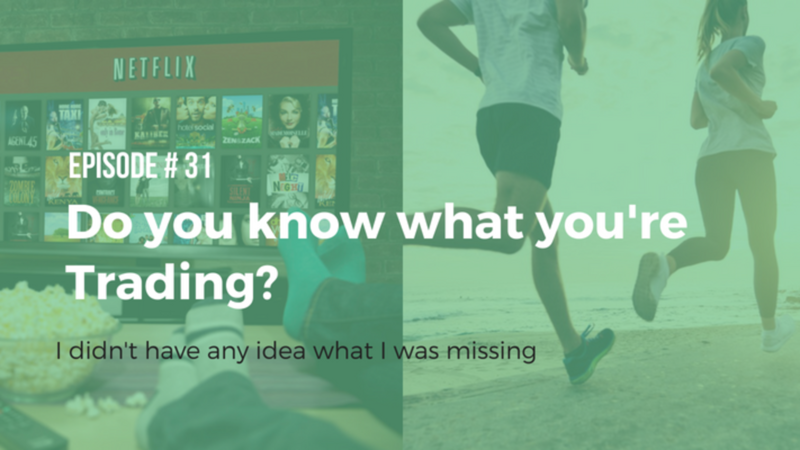 Episode #31 Do you know what you're Trading? I have been guilty of making the same choice over and over until it becomes my default without taking the time to step back and see what I'm missing out on by making that choice. Often, once the light is shining on the details of my trade, the choice I'm making seems ridiculous ...but I didn't realize it. I have watched thousands of students sped 15 minutes doing NOTHING in silence in their desk instead of spending that 15 minutes on homework. I always wonder - is THIS 15 minutes really better to have available than the 15 minutes you're trading later tonight? Maybe it is and maybe it's not, I don't pretend to know, but I have my doubts that the question is even being asked as they make their choice. Have you ever challenged yourself to choose water over soda, to get to the gym 5 days in a row, or to give up carbs for 14 days? What about getting outside for 10 minutes a day, listening to your favorite podcast while you clean, turning off the TV to connect with family or friends, leaving your phone at home ...or charging it away from your bed at night? 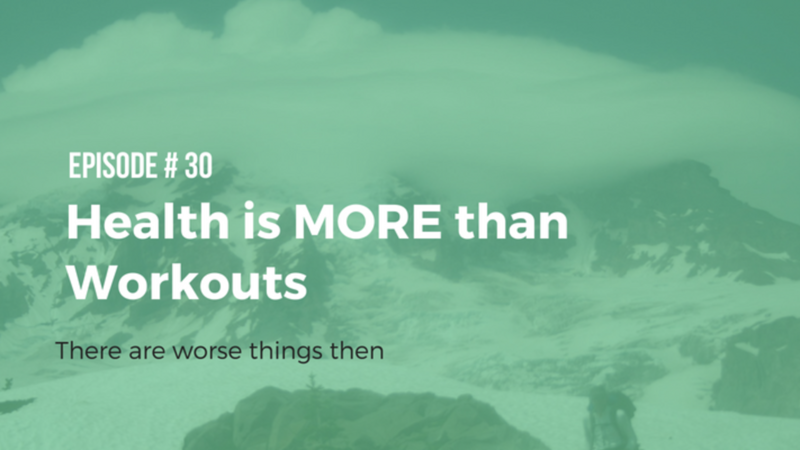 Sometimes healthy habits can get pigeon holed to eating clean and working out, but what if your one of those people who don't find "get to the gym 5 days a week" to be a motivating goal? Would it feel different to you if you looked up a beautiful mountain, then committed to climbing it? Or if you signed up to play in social sports league? That's exactly how I get consistent with my healthy habits ...I remember WHY I want them in my life. Because I want to soak up every experience I can in this life.